Last week I had the honor of attending a round table panel at Hartford Magnet Trinity College Academy on strengthening diversity in our schools. It was great to see local and national leaders come together to discuss how to build on the progress Connecticut has made in this area. The discussion was attended by U.S. Secretary of Education John B. King Jr., U.S. Senators Chris Murphy and Richard Blumenthal, Governor Dannel P. Malloy and state Education Commissioner Dianna Wentzell. 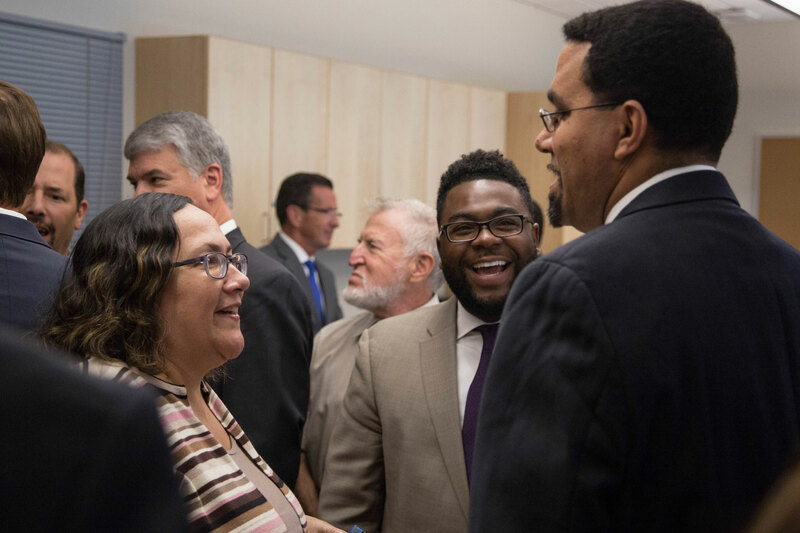 Connecticut has made strides in diversifying its schools, earning the praise of the U.S. Secretary of Education, but there is still progress to be made. A diverse classroom – in both students and teachers – provides a better education for all our students. I was glad to be able to participate in the ongoing conversation on how to increase school diversity. To read more about the round table, check out this article in the Hartford Courant.